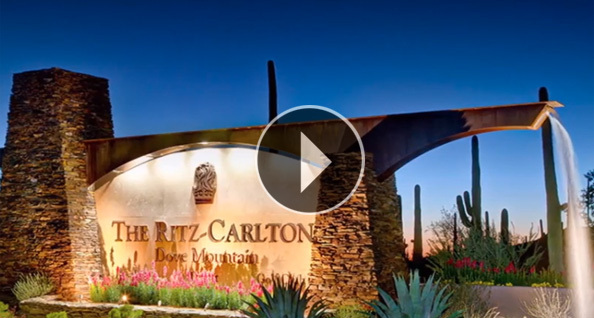 The Ritz-Carlton, Dove Mountain has been named for the first time to the Cond&eacute Nast Traveler Gold List, achieving the reader-based accolade less than two years after its opening as southern Arizona’s newest luxury resort. The 253-room property’s golf, spa and adventure offerings have led to its inclusion on the 2012 Gold List and to an exceptionally high score in the list’s Activities category — a leading indicator in the selection of more than half of the new hotels added to the 2012 Gold List. With a score of 96.4 out of 100 points for Activities, The Ritz-Carlton, Dove Mountain becomes Arizona’s top-rated activities resort and one of the top five activities destinations in the western United States. One of 34 new U.S. hotels and resorts named to the 2012 Cond&eacute Nast Traveler Gold List, The Ritz-Carlton, Dove Mountain takes advantage of a spectacular high Sonoran desert setting north of Tucson to offer an array of activities for travelers of all ages. From 27 holes of Jack Nicklaus signature golf to one of the world’s top ten-ranked spas and an outdoor adventure program featuring hiking, mountain biking, outdoor exploring and desert flora and fauna programs, The Ritz-Carlton, Dove Mountain has designed an activities menu which honors the majestic local surroundings while addressing all ages, fitness levels and travel preferences. The resort’s three swimming pools include one with a 235-foot water slide and another offering a private spa setting complete with a mid-pool tanning island. Outdoor choices at The Ritz-Carlton, Dove Mountain are highlighted by weekend dive-in movies, Cosmic Slide parties, stargazing, children’s programs, tennis, riding and ranch activities, and opportunities to enjoy rare views of ancient Native American petroglyphs located directly on the property. Added aquatic highlights include Splash Dining, presented to guests seated at in-the-water tables. The legs of guests, servers, Chef, tables and chairs are all immersed during Splash Dining’s unique dinner experience. Adding to the year-round property’s calendar of events are cooking classes, nightly s’mores experiences at one of the resort’s 30-plus fire pits, weekly wine classes and tasting sessions, and group classes in the arts of margarita blending, salsa and chili creation. Thanks to its high-desert setting at an altitude above that of most Southwest destinations, The Ritz-Carlton, Dove Mountain offers the region’s only Ritz-Carlton resort experience and an average summer temperature that can be ten degrees cooler than that of other resort locations in the region. The property’s activities program is offered year-round and is complemented throughout the year by special overnight packages for golfers, spa aficionados, groups, couples and families. Nestled in the high Sonoran Desert between Phoenix and Tucson, The Ritz-Carlton, Dove Mountain is an invigorating playground where the adventurous can explore the lush desert along the Tortolitas Mountains and majestic Saguaro forest. The Ritz-Carlton, Dove Mountain features a 253-room luxury resort, Jack Nicklaus Signature Golf Course, destination spa with infinity-edged serenity pool and tanning island, family and group activities, multiple restaurants, a 235-foot water slide, and luxury homes at the nearby Residences. Accessible from both Phoenix (PHX) and Tucson (TUS) international airports, the property also features adventure programming and world-class hiking, and it is host to golf’s annual WGC-Accenture Match Play Championships. For reservations, please call 800-241-3333, visit The Ritz-Carlton, Dove Mountain site or contact a travel professional. The hotel may be reached directly at 520-572-3000.